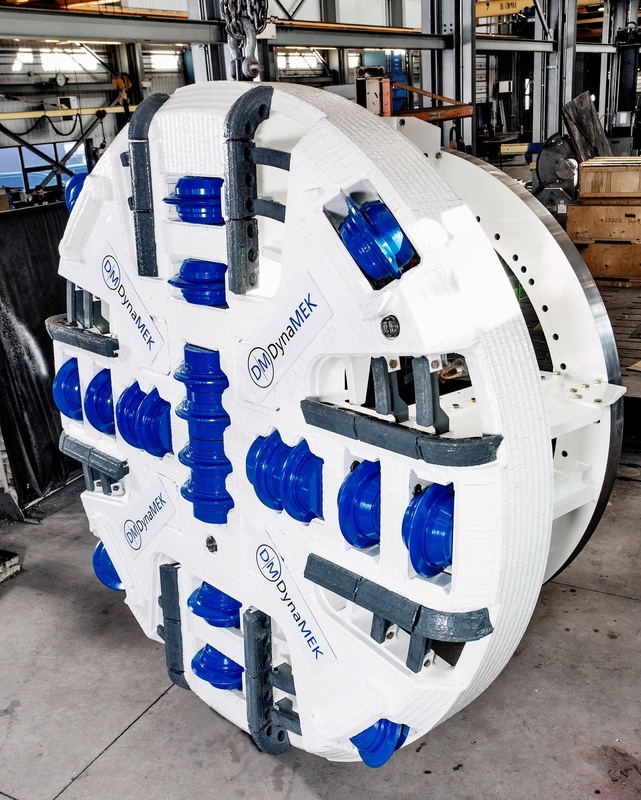 DynaMEK Group Ltd. - New Cutting Head for McNally DynaMEK Group Ltd.
DynaMEK Group Ltd. is proud to have delivered its first new cuttinghead for a Tunnel Boring Machine (TBM). The mixed faced cuttinghead, dressed with 15.5” disc cutters and scraper tools, was delivered to McNally Construction Inc. on January 31, 2018. 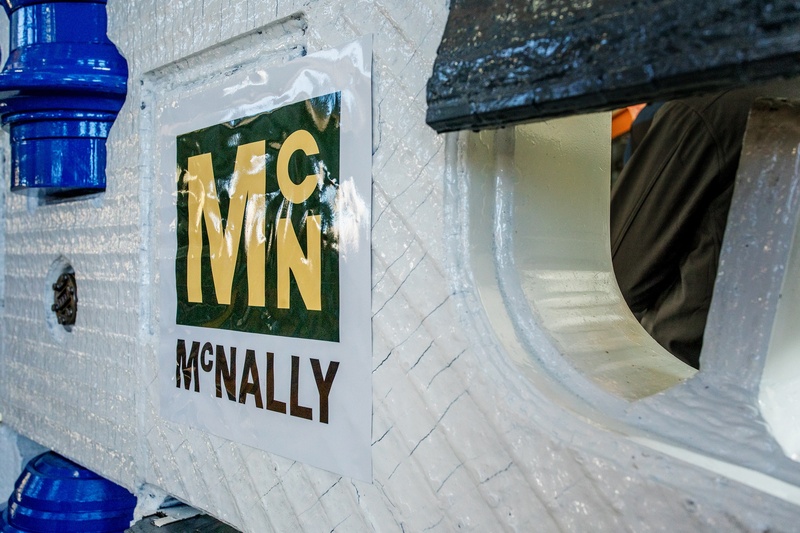 The cuttinghead will be installed on McNally Construction’s existing TBM for use on a current tunnel project. 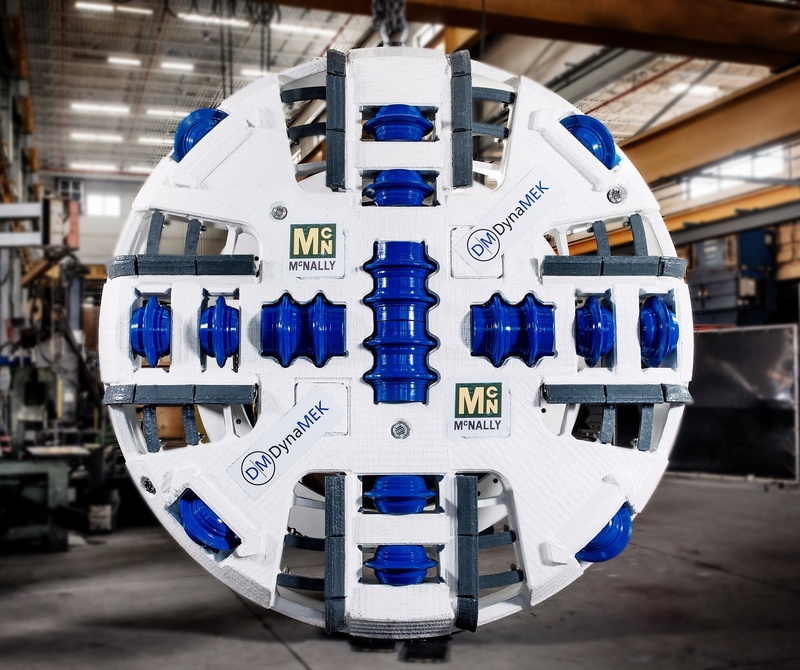 The experts at DynaMEK Group Ltd. have decades of TBM design and manufacturing experience and can support custom TBM design requirements for the most challenging tunnelling projects worldwide.